A weather affected Maths Week took place last week in St. Pauls. There was a great interest in the Daily Challenges with large numbers entering every day. The prize winners for the three days were Conor Perry, Andrew Dunne and James Melia Byrne. On Thursday, a first year quiz took place. The final results were very close with several teams in with a chance of winning. The winning team was Patrick Evangelio, Patrick Grattan, Sophia Irwin, Leah Bowden and Aidan Clinch. 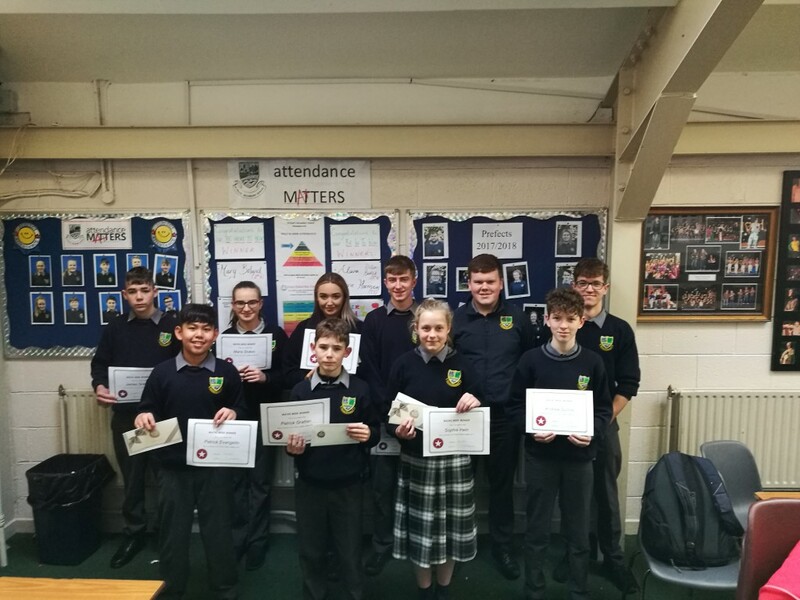 On Friday morning, fifth years took part in a quiz with the winning team comprising of James Grattan, Reece McGann, Jade Lawlor, Maria Stokes and Leon Carroll. Well done to all the prize winners and a big thank you to all who participated.